There is an AFW circulating that claims dramatic savings for manufacturers who use friction-welded, bi-metal pump shafts. You might be wondering; what is the basis for this claim of reducing costs by 31%? Okay, let’s dig into the background on this. It starts with an industry need for non-porous, non-corrosive pump shafts destined for chemically harsh, wet working environments. The first stage is to determine the right alloy to stand up to the harsh conditions. Then that alloy can be used to make the shaft and other pump components exposed to the harsh conditions. What if the pump shaft is not exposed along its full length? Is a portion of it, and maybe a large portion of it, sealed inside a protected case? 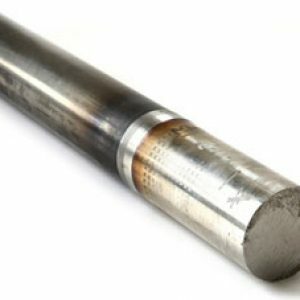 If a good portion of a pump shaft is sealed away from corrosive conditions, then only the “wet end” requires the special alloy chemistry. The opportunity for material savings is found with the sealed portion of the shaft. What if you could make a solid, full strength shaft out of two materials? Then you could isolate the expensive alloy for the “wet end”, and complete the shaft with steel on the protectively sealed portion. Friction Welding provides the opportunity to create this bi-metal configuration. You can download this whitepaper for complete details on the technical aspects. 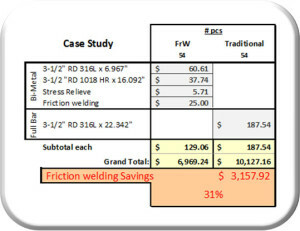 The difference is a saving of $58.48 per piece or 31% of the single metal version. On the 54 piece order in this case that adds up to $3,158 per lot by simply reducing the use of fairly ordinary 316L stainless steel. 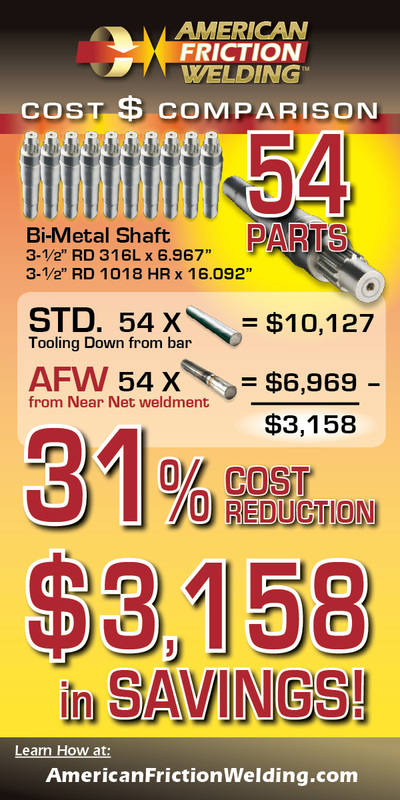 This customer is multiplying savings over an even greater number of bi-metal shafts. Next time, we will look at how a Near-Net Shape advantage benefits impeller fabrication.